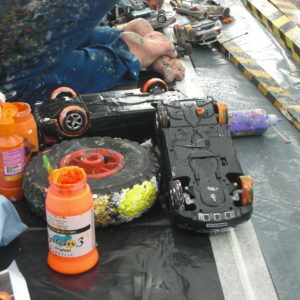 Visually AMAZING and an incredibly creative way of creating a piece of 3D artwork ONLY by using the wheels of remote controlled cars. 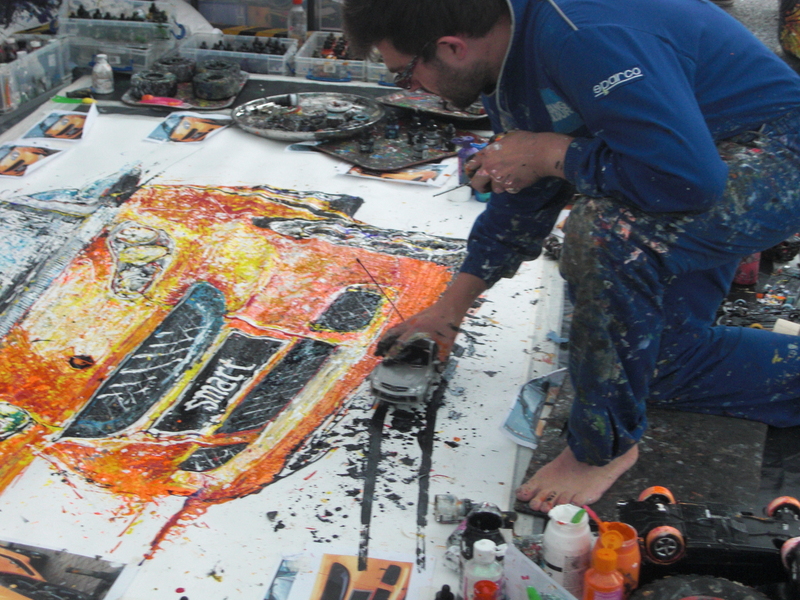 Costs to book this 3D Car Artist start from GBP £ 850 all depending on what is required of him to be created. 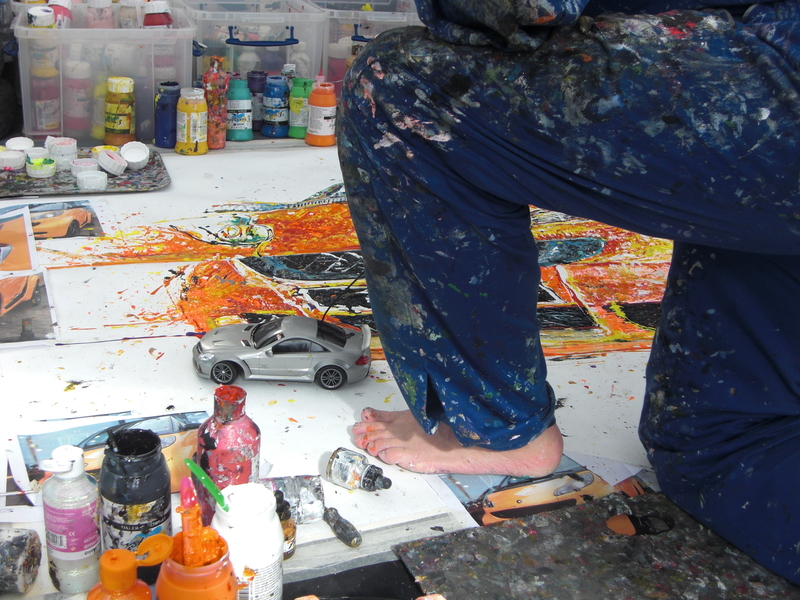 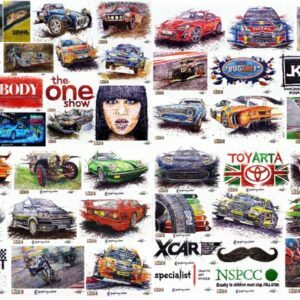 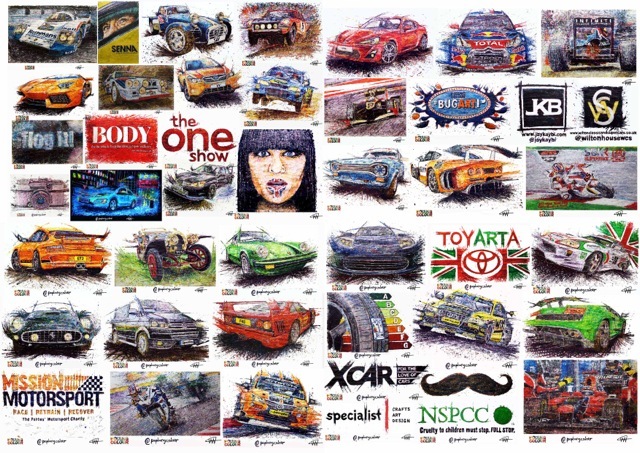 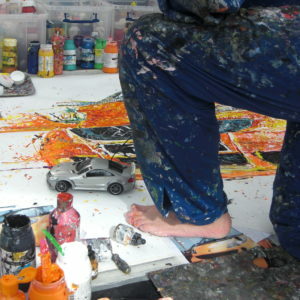 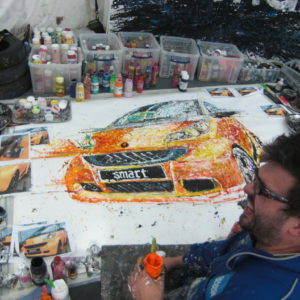 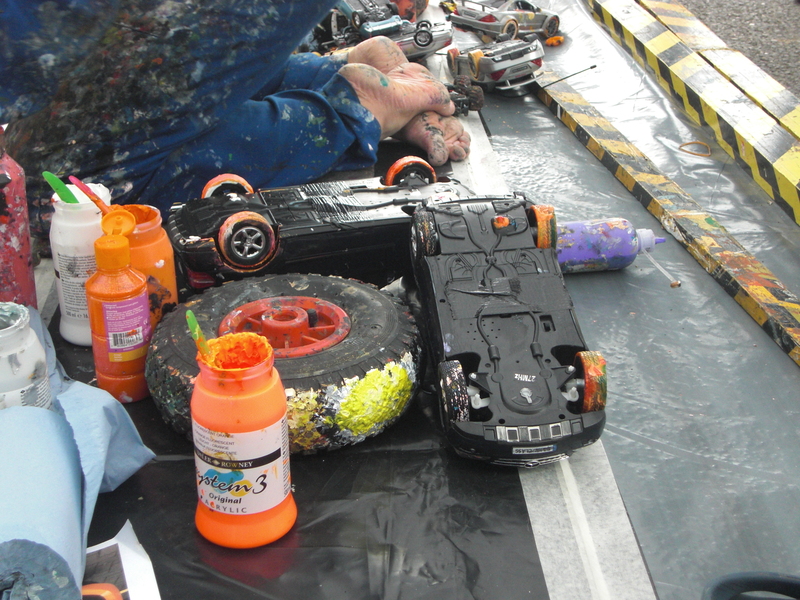 An extremely unique way of creating a 3D image of a car or a person with paints and with the wheels of remote control cars & larger sized wheels as the principle paint brushes. 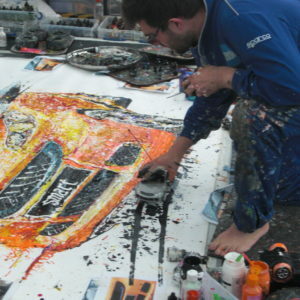 Creative 3D art can be created for any vehicle, car, or super sports car. 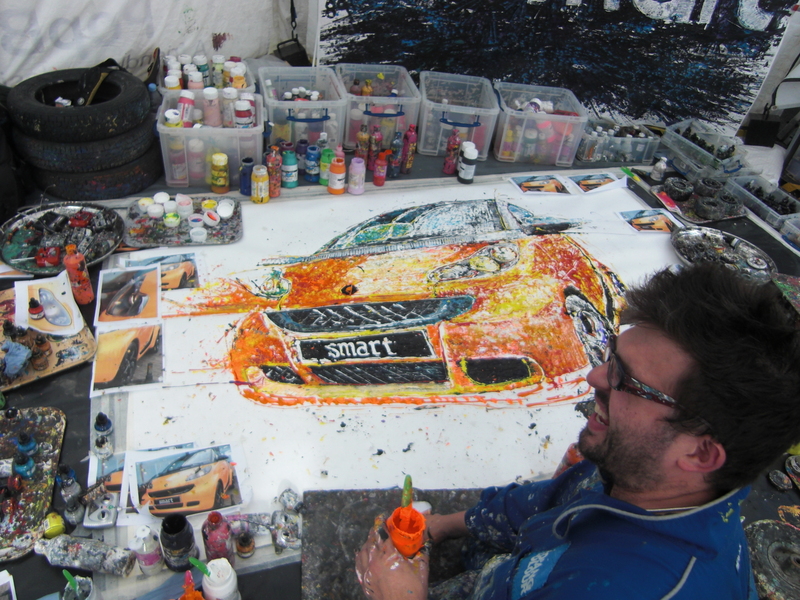 3D car artwork has usually been used for motor shows, car festivals, vehicle launches and new car brand awareness campaigns.